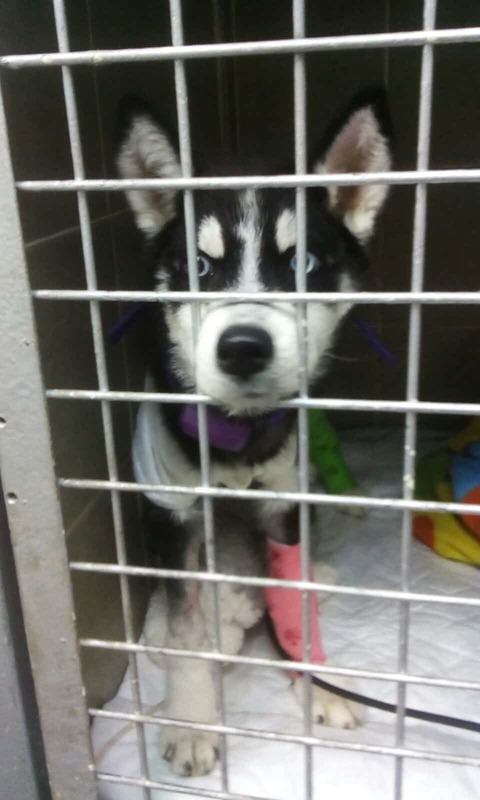 Kira, a five-month-old female Husky puppy weighing 10 pounds, was presented to the Herzliya Veterinary Hospital in Israel owing to repeated regurgitations and weight loss. Following an extensive work-up she was diagnosed with a rare congenital vascular anomaly called PRAA. PRAA, short for Persistent Right Aortic Arch, is a congenital anomaly involving the large blood vessels around the heart. The anatomically abnormal structures cause constriction of the esophagus and prevent solid food from passing into the stomach. Typical symptoms appear when the puppy is very young and begins to eat solid food, and include frequent regurgitation, failure to thrive, stunted growth, voracious appetite and occasionally signs of pneumonia from food aspiration (lethargy, fever, coughing, difficulty breathing). PRAA requires corrective surgery to remove the constriction from the esophagus and to allow normal feeding. In addition to PRAA, Kira was found to have aspiration pneumonia and hypoalbuminemia (low level of proteins in the blood). She was hospitalized in the ICU for intensive care and monitoring and to stabilize her condition before the surgery. Surgery turned out to be more complicated than usual, as the narrowed part of her esophagus did not release after the removal of the constriction and had to be resected. Finally, a stomach tube was placed to bypass the esophagus during the recovery period. A PetPace collar was placed on Kira towards the end of the surgery to help monitor her closely during the difficult recovery period. During surgery, Kira’s vitals were monitored using a medical anesthesia monitor. 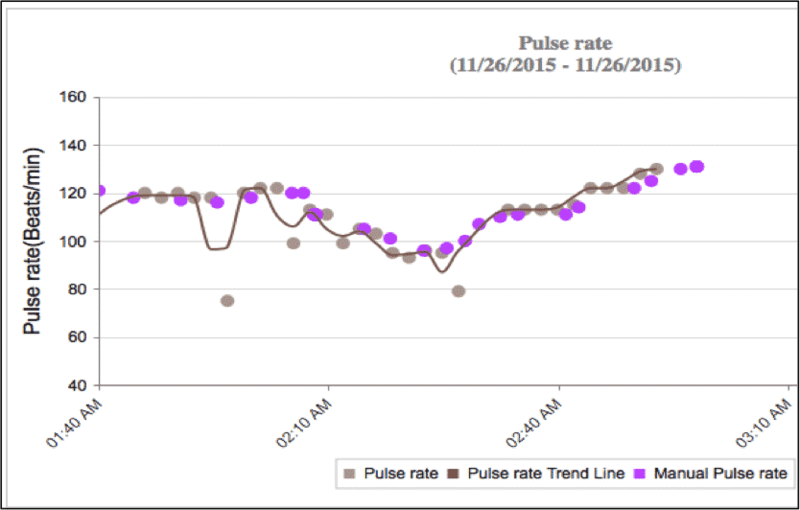 As can be seen in the chart below, the pulse readings of the PetPace collar closely match the readings from the medical monitor. PETPACE SMART COLLAR (BROWN DOTS) DURING SURGERY. 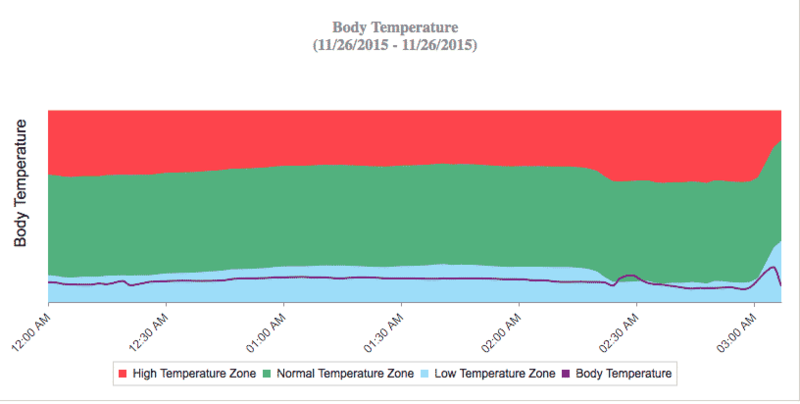 The temperature chart during surgery documented the hypothermia (low body temperature) Kira experienced, as expected in a prolonged surgery in which the chest cavity is open. IN WHICH THE CHEST CAVITY IS OPEN. In the following days, vital signs charts from PetPace were displayed in real time on a monitor placed in a central location in the hospital, and were continuously used to assist with the close supervision that Kira required. 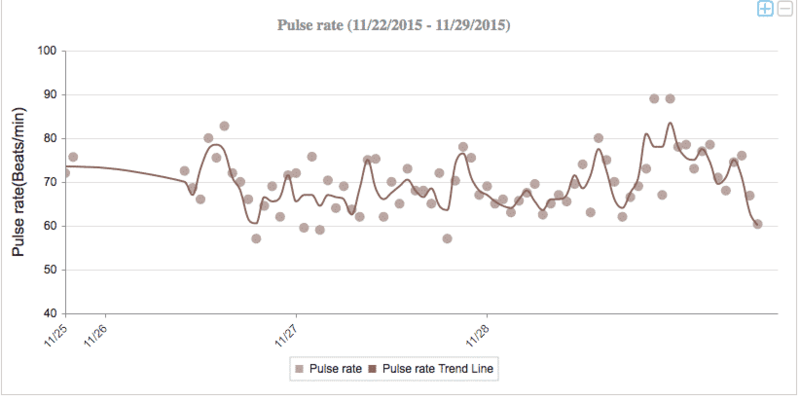 Kira’s vitals were mostly within normal limits. Kira’s Heart Rate Variability (HRV) showed a 14% improvement following surgery, which was likely secondary to the overall improvement in her condition and the absence of significant pain. Intensive medical monitoring of sick or critical patients is often performed in veterinary hospitals, and requires substantial time and resources. Kira was monitored very closely because of her condition and the difficult nature of her surgery. The PetPace collar was added to Kira’s monitoring protocol to augment direct patient assessment by caregivers, enabling them to fill in data gaps between manual measurements. Having access to large amounts of data enhances the accuracy of clinical assessment. Moreover, since PetPace data is obtained automatically, without human intervention, it better reflects the patient’s true condition. Using the PetPace collar for non-invasive yet intensive medical monitoring has two primary benefits. First, it provides real-time streaming health data on the patient, helping caregivers continuously assess the clinical condition. Second, it reduces the handling and stress associated with frequent manual measurements.